Duncan City Hall is a local landmark building located at the intersection of Kenneth Street and Craig Street in downtown Duncan. 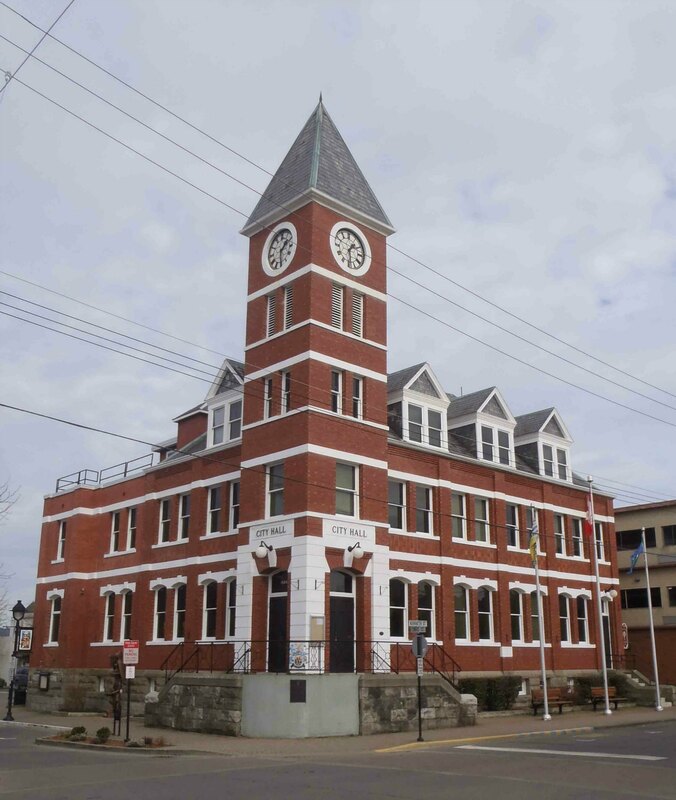 The building was originally built in 1913 as the Federal Building and Post Office and was used as the Post Office until 1958, when the Post Office moved to its current location on Ingram Street, one block east of the City Hall. After the Post Office moved, this building remained underutilized and poorly maintained. By the early 1970s, it had deteriorated to the point at which demolition was being seriously considered. That changed in 1974, when then Mayor Ken Paskin and the Duncan City Council decide to renovate the building into a new City Hall. Mayor Ken Paskin (died 1993) was instrumental in proposing, planning and completing this renovation project in 1974-75 and saving this landmark building, one of the heritage buildings of downtown Duncan, from demolition. The official opening Dec. 6  of Duncan’s new city hall will mark a reprieve from the wrecking ball for one of the oldest and certainly the most impressive buildings in the city. The former post office building, at the corner of Craig and Kenneth streets, was raised in 1913 and served for close to half a century as the clearing house for mail in the Cowichan Valley. Then, in July 1958, the post office moved to new quarters in Ingram Street, leaving the future uncertain for the weathered landmark. Canada Manpower operated out of the building for many years before moving to the Financial Centre. Aging plumbing and wiring and less than modern layout at the old post office offered little attraction to potential tenants and demolition seemed certain for the building until city council moved in 1974 to convert the old landmark into a new home for city hall. In the summer of that year, voters in the city passed a referendum authorizing an expenditure of $385,000 to renovate the building. November 1974 saw the start of a massive conversion project. As the project proceeded contractors encountered more trouble with the conversion than had been anticipated and city council amended the earlier borrowing bylaw to allow additional expenditure of $150,000. Now occupied by the city staff and almost completely refurbished, the venerable old building combines the best of both old and new. The general office area features up to date, open plan layout, centering around the administrator’s circular office. On the second floor, a spacious council chamber has seating for 100. But externally, the building displays the same stalwart brick facade it has had for 62 years. Nearing completion is an imaginatively designed fountain, intended as a centerpiece for a public walkway area beside the hall on Craig Street. The public will have an opportunity Dec. 6  to tour the hall and meet their representatives on council. Duncan’s new City Hall was reopened Saturday in a ceremony involving serval Cowichan Valley dignitaries and interested taxpayers. Besides the speeches, three gifts were presented to the city. Wes Modeste, newly elected chief of the Cowichan Indian Band, gave Mayor Ken Paskin a Simon Charlie carving of an eagle and a killer whale on behalf of the band. The carving is based on an old Indian legend. The council of Duncan’s Australian sister city, Koikohe, sent a large plaque and a letter of congratulations on the opening. North Cowichan Mayor Gerry Smith presented a silver commemoration plaque on behalf of the council and residents and congratulated Duncan City council on completion of the renovations and on preserving a landmark. Please check back for more posts.